In what do you invest when the economic outlook is weak? Investment bank UBS thinks it has the answer. The UK economic picture is becoming more uncertain with business output falling to a four-year low, according to the latest BDO Output Index (10 Jul). UBS cautions ‘macro momentum, earnings momentum and, arguably, the political backdrop are all deteriorating relative to Europe’. 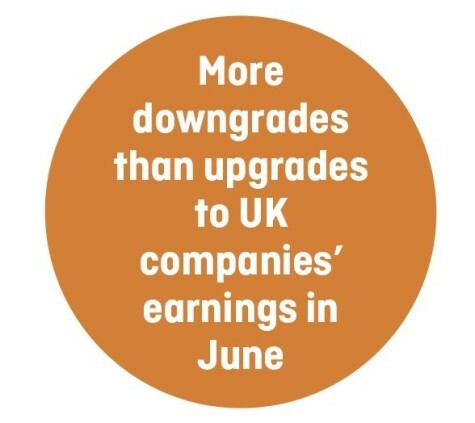 It also notes earnings momentum turned negative in June with UK companies now seeing more earnings downgrades than upgrades. In this context, its team of analysts reckon internationally exposed sectors such as pharmaceuticals and telecoms are best placed to prosper. Despite this preference for overseas exposure, UBS sees the weaker economic picture as being priced in to certain domestic stocks. The bank’s favoured FTSE 100 names include Burberry (BRBY), Lloyds (LLOY), Royal Dutch Shell (RDSB), Vodafone (VOD) and WPP (WPP).